Unlike actual design projects, designing for startups can be a little bit complex. You need to be fully prepared for a rough experience all through the duration of the project. Trying to combine what the startup want and what you already know remains the most important thing when designing for startups. Luckily, the majority of startups are now understanding the importance of having effective web design for their business. 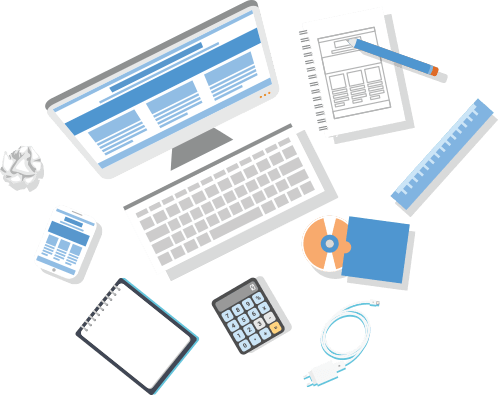 They now hire the services of professional web designers to ensure that their website is designed excellently. Business owners have now realized how great design is an integral part of their growth strategies. In this article, we will be taking a look at what the startups want as well as the key elements you need to consider when designing the start-up website. Great web design for startups entails more than just having buttons or attractive colors on the website. More emphasis should be laid on how they can get to their target audience, increase conversion rate, sell more products and services, outperform their rivals and, most importantly, grow their establishment. Rather than thinking in terms of complexity of the codes, what startups want is an ultimate solution. Since this design is the face of their company, having a well thought-out web design gives the needed first impression to their online audience. As the professional web designer, it becomes your duty to be able to find a middle ground between what start-ups expect and what you know as great design. Once you are able to do this, you are on the right path to finding a winning combination. In website design, innovation is dynamic. It is constantly changing. As technological development continues to expand day after day, innovative design also ought to keep up with the momentum. By being innovative, you will be able to come up with unique designs, just what was imagined by the startup. A product usefulness can be recognized by the psychological connection and aesthetic it offers. With a well thought-out design process, you are able to highlight the product’s usefulness. Creating elements that do not align with the goals can also be ignored. Do you know that consumers are also influenced by the aesthetic qualities of a product? A beautiful product will go a long way in influencing buying decision. Same also goes with having a beautiful website. However, only objects that are well-executed can be attractive. In addition, the design of the website will make it come to life. This alone will make the website speak and provide suitable answers to each and every question the user has to ask. For this reason, it is important to dedicate every resource to ensure that the website is beautifully designed. Unlike in creative art, the design of a website should not be considered as work of art or as a decorative object. The most important thing is to ensure that it fills the purpose it was created for. The design should be made in a neutral way that will allow users the opportunity for self-expression. If not, creating an overwhelming design will only diminish the user experience. Regardless how beautiful the design can be, the true purpose has been lost. The web design needs to be true and honest. It should not offer the notion that a product is more innovative and powerful than it should be. Ensure that the design does not completely influence the customer. There you have it! The above are some of the key elements that should be considered when designing a website for a startup. Great design is not trendy. Ensure that the website is designed in such a way that it will never appear old-fashioned. By combining all these ideas, you will be able to achieve a well-designed website that covers everything the startup wants. « Previous Does My Business Really Need A Website?